The following is my submission for Monthly Wine Writing Contest #5 (#MWWC5). 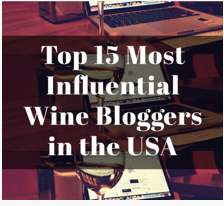 A bunch of us started the contest a few months ago and this month’s contest is hosted by last month’s winner: Confessions of a Wine Geek. One of the duties of the month’s winner is to choose the topic for the following month. This month’s theme: Feast. They had only been dating for about a month, but it was already clear that she hated when he was late. And he was going to be woefully late again. Yet all he could do was stand there. This time he imagined it was far worse, however, since he was going to meet her family for the first time. He had thought it was a little early in their relationship to meet the parents, but that is what happens when you “hook up” at an office Halloween party, start pseudo-dating, and then Thanksgiving rolls around. Two weeks before, when the holiday came up in discussion, he told her that he was going to make his usual eight hour drive back up to Maine to visit his family and he thought that was the end of it. He had not missed a Thanksgiving since he had moved away, but he was not exactly looking forward to it. Recently, they all followed the same pattern: his mother would be her normal passive aggressive self and find a way to ask him why he still was not married without really asking. His stepfather would then make some crack questioning his stepson’s sexual orientation, which he did not base on the fact that his stepson was still not married at age 36 but rather his near obsessive interest in wine. His step-father would then invariably stumble to get out of his Lazy-Boy, make his way to the fridge to grab another Coors Light, return to his chair, and unbutton his pants for a little relief for his enhanced mid-section. He had initially thought it was great that his mother had remarried after their father walked out on her to run off with a woman that he had met playing bocce ball, but now he was sure it was a mistake. Yes, his mom was not alone, but her second husband was but a few hair follicles short of being full-blown neanderthal. Two days ago, the autumn Nor’easter that dumped close to two feet of snow in New England put an abrupt end to his plans to drive up I-95 and spend three glorious days under the same roof as his step-father, whom he had come to refer to as “Grunt” since that was easily the most intelligent thing that ever came out of his mouth. Instead, he was looking forward to several days at home, which he was going to use to finally catalog his soon to be out-of-control wine collection. His short-lived plan was shattered when his phone rang. It was her. She was worried that he would be spending the holiday alone and she asked if she wanted to come to her parents house, just outside the city. It was not going to be a “typical” American Thanksgiving though, she warned with a laugh. He was not really sure what that meant, but since both of her parents were born in China, he was close to certain that there was not going to be any turkey or stuffing on the table. He was more than a bit astonished when he heard himself say “Sure! That would be great!” Even though she sounded genuinely pleased that he would be coming, he was immediately overcome with dread and wondered if he suffered from some perverse form of Turret’s Syndrome for his uncontrolled gleeful acceptance. The more he thought about it, the more he became convinced that he was a complete moron. This was going to send the wrong message to everyone involved–they had not even been “dating” for a full month yet here he was going to meet her parents and God knows who else. He might as well say “I would rather gouge my own eyes out with a dull, rusty spoon than meet your parents” (which was actually pretty close to the truth, once he thought about it a little further). Hearing that description, he realized she was basically describing any random homeless person but before he had time to voice that comment, she mentioned something much more concerning: Her father liked to drink wine and she therefore she thought that they would have plenty to discuss. He somehow managed to keep that comment to himself–maybe he did not have Turrets after all. He hung up the phone hoping for some over night calamity that would provide a legitimate excuse for his absence. The night before, he certainly tried to induce death by drinking through two bottles (a Brewer-Clifton Clos Pepe and a Dutton-Goldfield Cherry Ridge Syrah) while trying to organize his collection. Nonetheless, the day had now arrived and he was late, very late (and more than a bit hungover). But there he stood. In the basement. Trying to decide on what to bring. He had been debating that question for the past two days and he had finally decided on a Pinot, but which one? He did not want to bring something too good–sure she had said her father was “into wine” but that could mean that he always had a box of Franzia White Zinfandel in the fridge–he was certainly not going to bring a bottle of his DRC. He also did not want to bring something too crappy since if her dad really knew wine, he might as well impress him. 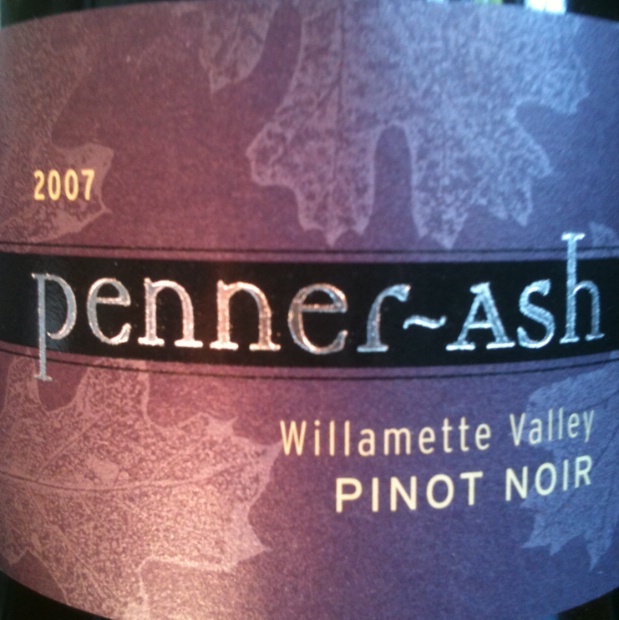 After what seemed like hours of pulling out bottles and sliding them back in, he settled on a 2007 Penner-Ash from the Willamette Valley–a beautiful wine from one of his favorite producers. When he finally arrived (a mere 90 minutes late), she did not seem all that perturbed, though he knew she was. She led him directly into the dining room–they clearly had been waiting for him. He was briefly introduced to her family: mother, father, a couple uncles, aunts, cousins–it seemed like there were fifty of them. As he approached the tables (one main one and two smaller satellites), it was clear that she was right–it was not going to be a “typical Thanksgiving.” Based on the chopsticks and teacups, he was in store for a traditional Chinese meal. This was further underscored after the initial greeting as the conversation switched. At least he did not have to guess where to sit–it was the seat with perhaps the biggest wine glass he had ever seen. 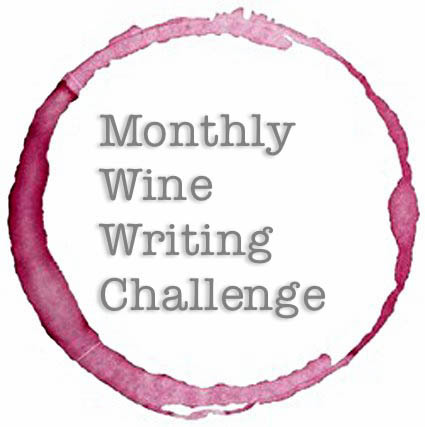 This entry was posted in Humor, Monthly Wine Writing Challenge, Pinot Noir, Wine and tagged #MWWC, Fiction. Bookmark the permalink. “really into wine.” = basically describing any random homeless person . Still chuckling – this was an epic. Great story. I’d love to read more. Wonderful depiction of your stepfather. The man my mother remarried could have been his twin. Alas, I do not have a step-father (nor any DRC)—this was an attempt at writing fiction. And a very successful one. You had me convinced. Well, I have not written enough to notice a pattern, so I will take your word for it! Has it been your experience that people are disappointed upon learning that it is fiction? Great post! I love the way you wrote the ending . . . the fork is perfect!! Salud! Well that means at least one Asian might like it! Great story, well written. And the ending quite perfect. On a very odd angle, it got me thinking about The Christmas Story and their Chinese dinner. Thanks so much Duff—and a very interesting angle! That was a fun read. Brilliant. i attended a Japanese Thanksgiving dinner when I was in college in LA, and we had Teriyaki Turkey and sweet potato mash, with beer and Sake. I thought it was pretty cool and I still remember how it tasted. For this challenge, I have a post in mind, but work and a bout of flu got the better of me, and I realised I have missed the deadline. I look forward to see what the next theme is and will keep trying. All the best. Sorry to hear about the flu—are you feeling better now? much better. This one hit me good, knocked me out for about 3 weeks. I have never taken medical leave from work, and I had to for two days. There are still a little of it drifting inside me, but I will be fine. Thank you for asking. Glad to hear! That sounds rather awful! Great piece – and great punchline! Superb and awfully entertaining writing as always, Jeff! There are several priceless lines in your story, in fact too many for me to settle on just one (although the stepfather’s doubts about the stepson’s sexual orientation because of his wine obsession is certainly a strong contender for my personal favorite). Again Stefano, far too kind, but I really do appreciate your thoughts and feedback! Thanks Stefano, that really means a lot to me. I have actually been thinking about it….